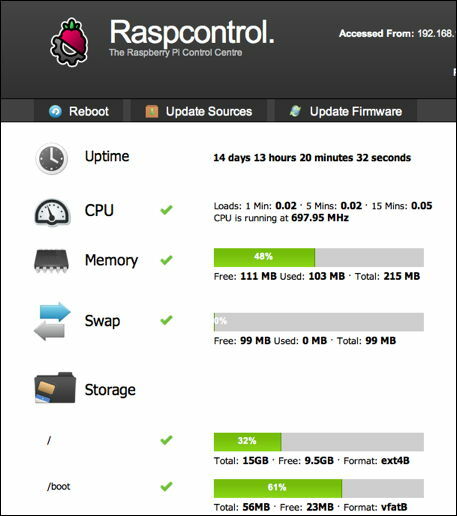 RaspControl is a small PHP application for providing a simple web interface for displaying information about Raspberry Pi. Useful because on a headless Raspberry Pi, simply heading to a webpage enables you to get an overview of its state of health. Next change the permissions of start.sh Read / Write / Execute permissions by navigating to the RaspControl folder. Then run the command to start the server.